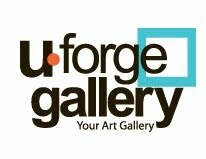 UFORGE Gallery’s mission is to foster creativity by facilitating diverse and affordable project assignment based, non-juried (open door) art exhibitions; to provide a venue to exhibit these works; to cultivate both a collaborative and inclusive arts community at large through educational workshops and special events. Sounds good, right? The grand opening is this Saturday, April 9th, from 6:00 to 8:00pm and the show theme will be Art Deco as well as JP to Me (which I will have a piece in again). I'll be there with bells on and I hope you will be too! Love this post. This is an excellent post on product and still life photography. Really, it is an amazing post for a photographer. Big thanks to you for sharing it. I have profound knowledge in clipping path service. Clipping path is an important aspect of image editing. having a great love to your post amazing for professional photography man.